Writer-director Dean DeBlois steers Hiccup, Toothless and the rest of the Vikings of Berk straight into trilogy territory on a large scale with How to Train Your Dragon 2. 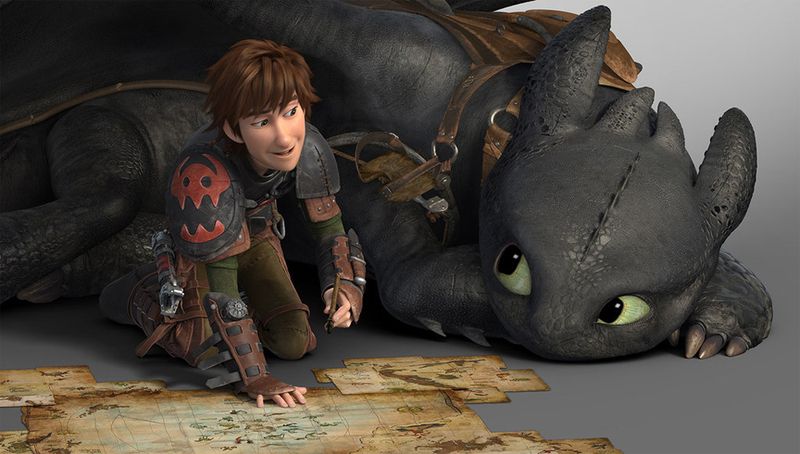 DreamWorks Animation’s How to Train Your Dragon was an unexpected hit when it was released in 2010. Co-directors Dean DeBlois and Chris Sanders had taken over the film just a little more than a year out from release and revamped the story from the ground up. Earning positive reviews from critics and audiences, the film earned nearly a half-billion dollars at the box office and put the question of a sequel front and center. When DreamWorks Animation CEO Jeffrey Katzenberg asked DeBlois if he had ideas for a sequel, DeBlois came back with a bigger idea. “If the first movie was the first act, this second film could be the middle act, but we would need a third to bring it to conclusion,” DeBlois says. 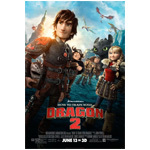 The result is an epic tale that expands the story of Hiccup, played again by Jay Baruchel, his trusty dragon Toothless and the Viking land of Berk. Having fully incorporated dragons into their lives following the events of the first movie, exploring new frontiers tempts Hiccup more than following his father Stoick’s path of leading the tribe. What he finds is both personal and epic, as he encounters the threat of dragon hunters in the service of Drago Bludvist, played by Djimon Hounsou, and a kindred spirit in his long-lost mother, Valka, played by Cate Blanchett. 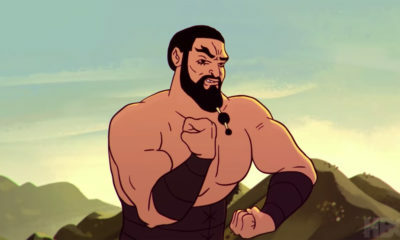 The movie also introduces Eret, voiced by Game of Thrones’ Kit Harington, and features the return of the original voice cast: America Ferrera as Astrid, Gerard Butler as Stoick, Craig Ferguson as Gobber, Jonah Hill as Snoutlout, T.J. Miller as Tuffnut, Kristin Wiig as Ruffnut and Christopher Mintz-Plasse as Fishlegs. With four years between release dates, DeBlois says they were able to rebuild the characters from the ground up and incorporate a new generation of software into the DreamWorks pipeline called Apollo that vastly improved the toolset and interface for the animators. “While we were finishing up the first Dragon we had some conversations with the developers and they gave us kind of a window into the future,” says Simon Otto, head of character animation on the movie. 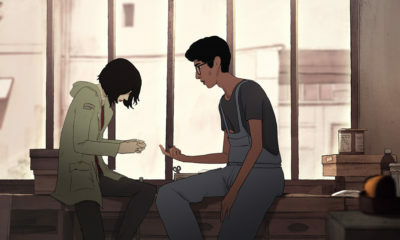 The animators were consulted on what they wanted from animation software if it were to be re-created from the ground up. The overall message was for an intuitive system with a user interface that allowed artists to more directly interact artistically with characters and see them render and move in real time, and reducing or eliminating the need to wrangle data, Otto says. That allowed animators to spend more time exploring ideas and refining their work and having a toolset that supported those ideas. “You can find your way to the performance, which was kind of hard before,” Otto says. The results are easily seen in the final film, where the character performances achieve a level of detail and subtlety that sets a new standard for DreamWorks. “A lot of it comes from having the time, having talented animators and giving them the time to go back and tweak on the most minute levels,” says DeBlois. Those changes were key in developing Valka and Drago. “They were both incredibly challenging and it was a journey and an adjustment to find the characters,” says Otto. Valka had to be mysterious at first, having spent so many years living among dragons, but ultimately likeable when she revealed herself as a Dian Fossey-style protector of the creatures. “We went a little crazy at first and went too far,” says Otto. “We had to tone her down and bring her back a bit.” He says they found the character through animation, and only after trying out a few versions of her sequences did they find the right balance. Drago, meanwhile, got a boost from the casting of Hounsou as his voice, which inspired separate design takes to come up with the dreadlocked look the character eventually developed, Otto says. He also had to move in a very specific way due to a plot point in the movie, requiring an idiosyncrasy in his performance. As for the dragons, the sequel presented an opportunity to improve their designs and expand the number and type of dragons almost exponentially. Otto says they wanted as much diversity as possible, starting by basing designs on more traditional dragon looks and then stretching the idea as far as possible. Each one was grounded in some way with an animal and designed to be as instantly recognizable as possible. Creating those action sequences was a long process of refinement. Each character, for example, has their own storyline within the sequence and there was a lot of whittling down and rethinking how to present those individual stories as it developed. Having completed the second act of his trilogy, DeBlois is anxious to see how the film is received. Early reviews have been positive and the film was extremely well received at the Cannes Film Festival. He’s happy with the film and ready to take a break before jumping onto Dragon 3, set for release in 2016, even as he’s keenly aware of the challenges the third chapter — for which he has a well-referred-to outline — will pose.